Our aim is to set a new benchmark in terms of accessibility, quality of climbing and standard of environment. Online pre-registration with our Induction video, self check-in service, air conditioning and chalk extraction are just some of the elements we have added to achieve this. Bouldering is rock climbing stripped down to its raw essentials. No complicated ropes or harnesses, all you need is climbing shoes. Your challenge is to climb short but interesting bouldering “problems” (sequences of moves) using technique, balance, strength, and your brain. Every “problem” has its own solution, and to successfully climb it you need to figure it out. Depending on your body shape and personal strengths, your solution could be different to the next person’s. If you’re tall, you might be able to reach the next hold more easily on spaced-out problems but find yourself hindered when the route takes you into corners or grooves on the wall. You don’t need experience or lots of expensive kit to have a go – making it really easy to get into if you’ve never tried it before. The specialist climbing shoes are available to hire from reception or buy in our shop. 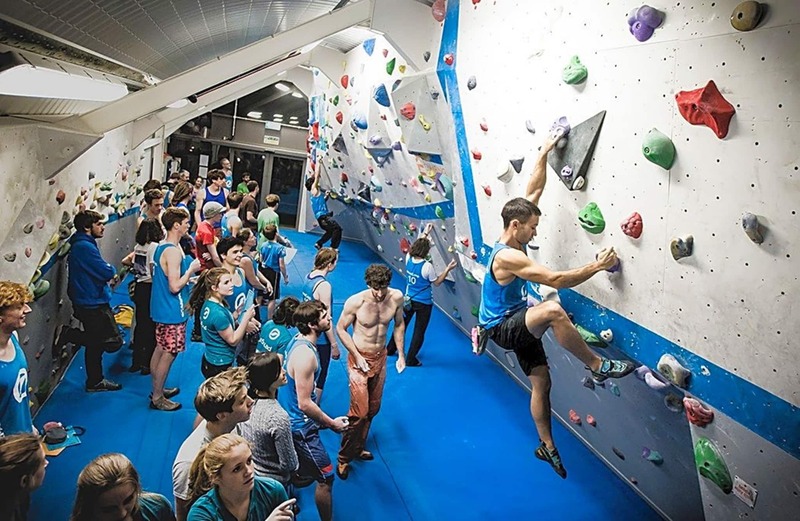 Whether you have never bouldered before or you are a seasoned pro, VauxWall aims to cater for all your climbing desires! Our incredibly convenient location, fantastic facilities and extended opening hours will ensure you can always get your climbing fix. The climbs are high enough to be exciting, but not so high that they’re hugely intimidating. Using safety mats means you can manage the risks of falling off. Leaving the ropes behind allows you to be free to concentrate on the climbing, not all the equipment. It’s just you, the wall, and your friends on the mat encouraging you on. We are situated in three railway arches. Our reception is Arch 47 South Lambeth Road, directly under Vauxhall National Rail Station, just south of Vauxhall Bridge. We are a mile from Westminster and 6 minutes on the tube from Victoria. Parking is limited. There is some permit parking, and pay and display parking on Vauxhall Grove and connected streets opposite the Climbing Centre and on Godding Street behind the Royal Vauxhall Tavern. Cost is £4 per hour and the maximum stay is 4hrs. There is underground parking at St George Wharf (SW8 2LZ) Cost is £3.20 for 1 hr, £6.30 for 2 hours, £12.60 for 4 hours. Open 24 hrs. It is 5 minutes walk to the Climbing Centre. Nice and quiet off-peak climbing. Good setting. Super friendly staff. the place is nice but very crowded. 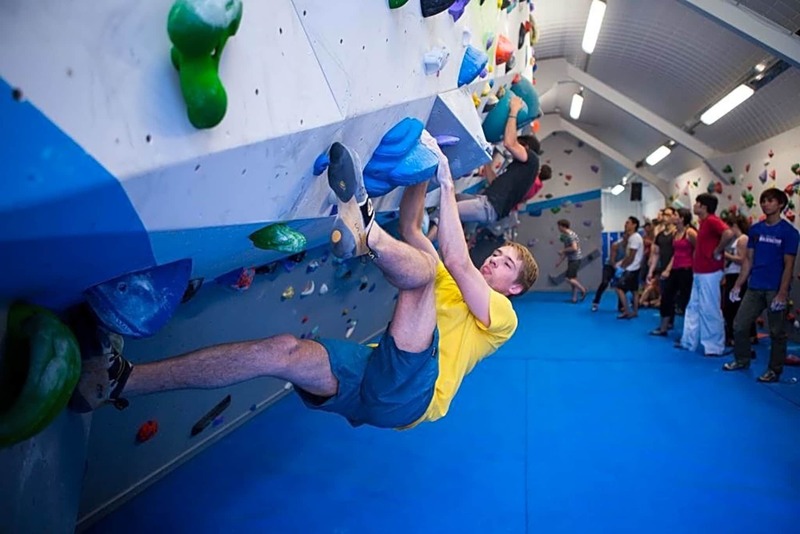 there are a lot of other bouldering venues in the city which offer more space and more diverse routes. Because it is a great centre! Great place. Would be ten if it were closer to home! Challenging climbing centre, I went in the afternoon when it was quiet so there was lots of opportunities to practise climbing. It's a great place to get started was fun and active. It's much cheaper with move gb than if you pay normally. It's the only reason I'm a move gb member. Friendly people, decent facilities, nice atmosphere, and it's very handy for me. £6.50 for shoe hire is outrageously expensive though! Other climbing walls are less than half that price. Because climbing is awesome and the Vauxhall centre is a great wall.